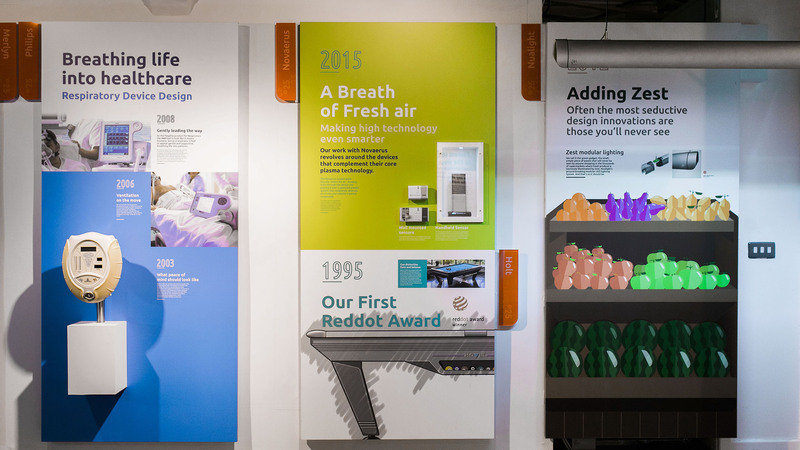 Our D25 Exhibition was held in order to represent the stages in the product developent process and to showcase the evolution of product design and innovation over the past 25 years graphically, in a format that’s not usually done. D25 was to create engagement among past and future clients, students and recent graduates, along with members of the wider design community. 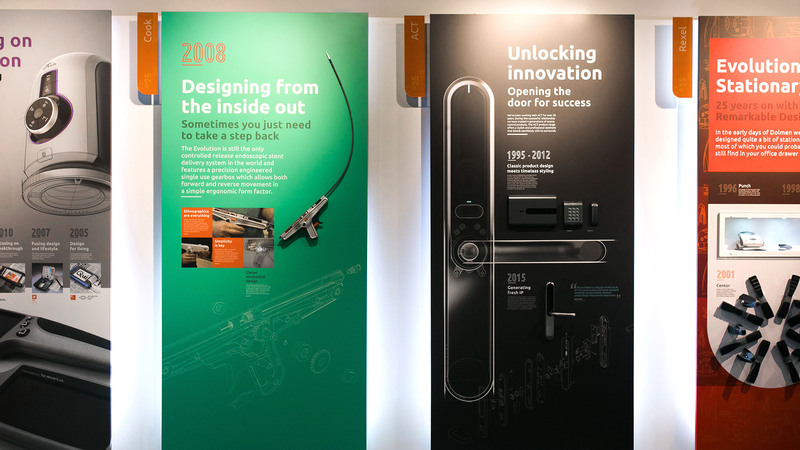 One of the main objectives was to give a bigger insight into the value of what 25 years of product design can deliver. The D25 Exhibition opened during Design Week 2016, showcasing product design, entertaining student groups through talks given by members of the Dolmen desing team. The space also accommodated consultations and allowed us to host a number of public evening events. We also hosted a special reception for clients and stakeholders and the whole thing was a huge success. 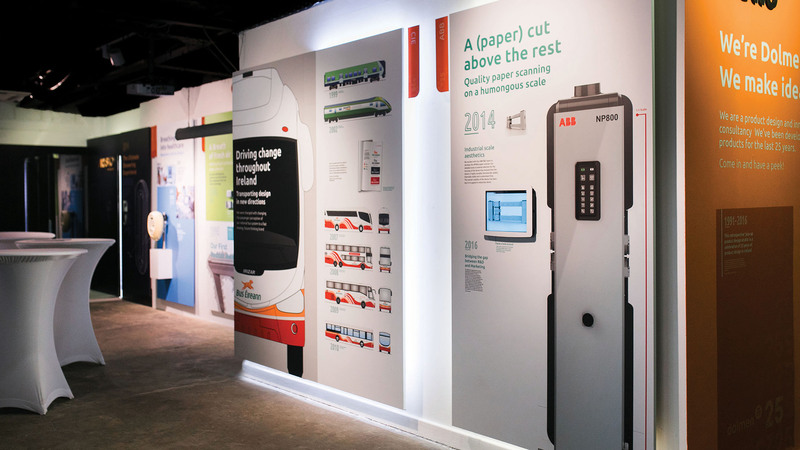 The exhibition was curated to visually stand out but not over power, with sophisticated typography, bold block colours and clean and crisp renders, showing off the designs and products in a fresh and exciting manner.